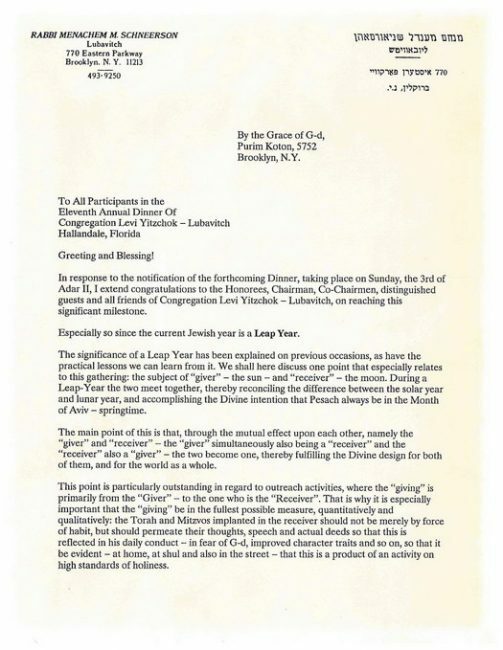 This letter was addressed to the the participants of a dinner of a Chabad community in Florida. 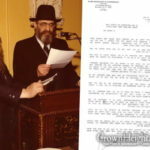 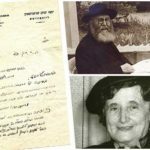 Although dated February 18, the Rebbe signed it only about two weeks later, on March 2, before going to pray at the Ohel of his father-in-law, the Previous Rebbe. 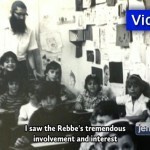 Later that day, the Rebbe suffered a stroke, which left his right side paralyzed. 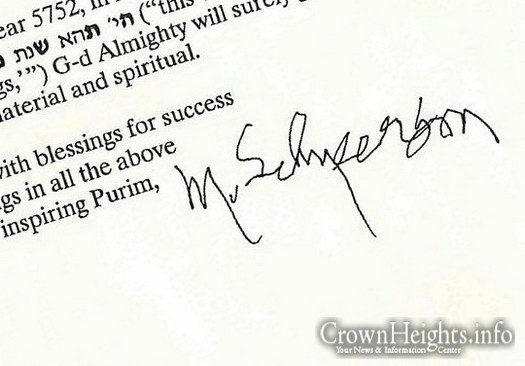 This is the last letter known to have been signed by the Rebbe.